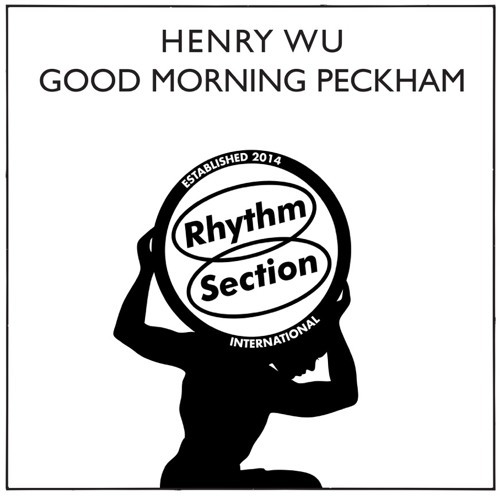 The small but mighty independent label from Peckham (south-east London) known as Rhythm Section has been on an absolute tear lately. They’ve become one of the go-to labels for the loose, trippy and organic slow-house music sound we love. After a solid first year with 2 releases, Bradley Zero‘s brain child has been picking up steam with three must-have releases and the fourth coming from Peckham’s own Henry Wu who also has been dishing out gems for labels like 22a, Far Out and Ho_tep (affiliated with Eglo). I received the high-quality version of the first single titled “Dubplate Special” a few hours before I was DJing with Detroit’s Jay Daniel. I had only heard it quickly through my laptop speakers (obviously something I should not have done) but since I usually love everything Henry Wu puts out I decided to play it out anyway… and whoosssh!! Let me tell you that this track on a proper system was by far one of the highlights of the night. The full EP is now out and it does not disappoint. I highly recommend you scoop it up on vinyl or hi-quality download right now!